Planning to dress up your windows with new curtains or blinds? Well, before you go shopping, it’s important to consider certain factors to find the best fit for your windows. Privacy and light control are two of the primary factors that typically influence the choice of window treatments. In case you plan on completely blocking the sunlight or street light coming from the window, blockout blinds and curtains are the best options. They are also great for bedrooms or lounge rooms where you want to maintain full privacy and block out all the light when required. Still wondering which one is better? Here, we’ll be comparing the two – blockout blinds and curtains, so you can easily decide what’ll best serve your purpose. Do you prefer sleeping in without a trace of light in the bedroom? Perhaps you on a busy street or have sneaky neighbors and need some privacy? For both the cases, blockout blinds make a pretty good case. They are a great asset when it comes to preventing light from entering the room and also do a perfect job of stepping up the privacy. Honeycomb Blinds, Roman Blinds, and Roller Blinds are the three most common types of blockout blinds. Each of these three come with their own set of special features and advantages. We’ve elaborated on the same below. Honeycomb blinds also known as cellular shades are a preferred choice of window treatment for many homeowners. Insulation is one of the basic features that attract a lot of buyers. These blinds are specially designed to block out the heat during summers and cold during winters. In addition to insulation, supreme privacy and efficient light control are some other positive features of honeycomb blinds. 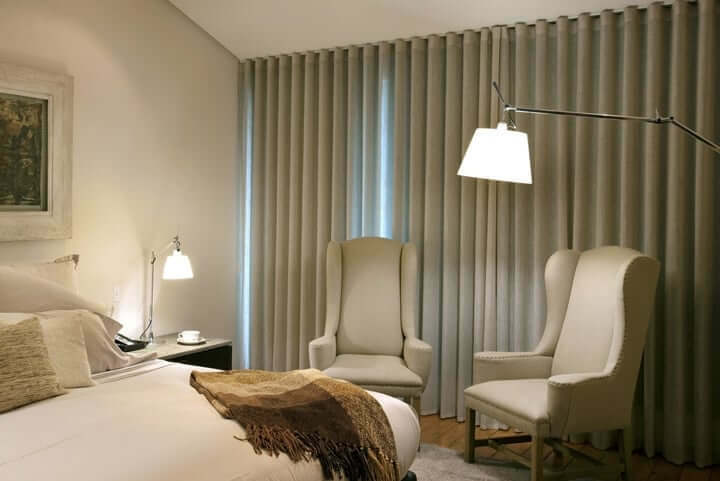 Another popular and one of the most versatile blind types is Roller blinds that not only block out unwanted sunlight but also gives your room a timeless look and feel. With this, these blinds ensure you get the maximum privacy as well. Roller blind is a single piece fabric that wraps around a casing and fits into the top of a window frame. You can easily operate the blinds by a side winding chain mechanism or by pull cord attached at the bottom of the blind. Offering stunning style to your window and room, the classic roman blinds gives a look and feel like curtains but with the functionality of a blind. These either come with a blockout lining or a light filter. The roman blinds offer insulation along with the best protection from sunlight and prying eyes. Being the most popular window treatments, these blinds will complement the style of your home beautifully. Trying to change the feel of your room? If yes, you should consider blockout curtains that will not only leave your room aesthetically pleasing but also offers practical benefits too. The biggest benefit of these curtains is their ability block light from entering the room. So, if you’re a movie fan and don’t want the light to ruin your home theatre movie night, these curtains might be your pick. Also, these curtains will insulate your space along with controlling the level of light and reducing noise as well. There are three most common types of blockout curtains, each having its advantages and features. Here is some information about all three types that will help you decide which curtains will work for your aesthetics. The elegant design of wave fold curtains creates soft, fulsome folds in the fabric for a ripple-like an effect. Hung with additional carriers to keep the signature shape, these curtains provide a warm ambiance with their streamlined form. Perfect for your casual and formal living spaces, these curtains will add a very contemporary feature to your room especially dining rooms and lounge rooms. The symmetrical vertical fold instead of pleats and gathers in a variety of fabric make these curtains a preferable choice if you want to add some style to your rooms. The versatile design of the pinch pleat curtains makes it a popular choice. The design of the curtains are made up of folded fabric that is sewn together for a pinch pleat effect. These permanently stitched pleats make for a smart finish and leave the curtains with elegant folds from top to bottom. The double pinch pleat is the most common design and is made up of two folds of fabric sewn together. These curtains are suited to nearly every room including bedrooms, dining rooms, lounge rooms, and media rooms. The crispiness of the curtains would go well with formal settings but the no fuss design suits relaxed and cozy settings too. 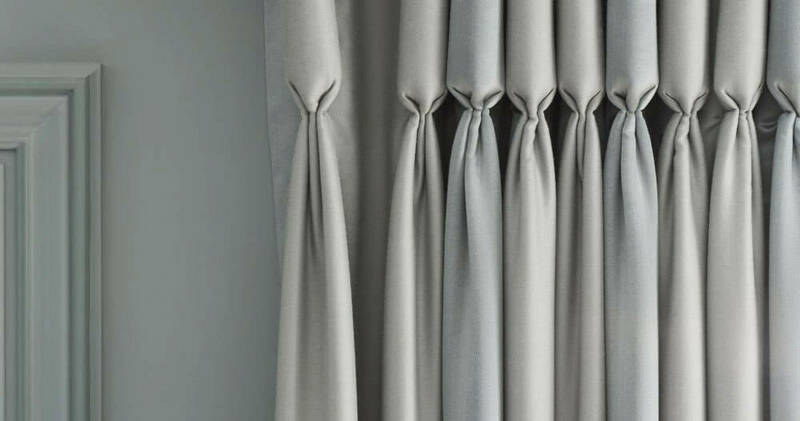 If you’re also one of those people who doesn’t like seeing a pleat but still want a natural wave to the curtains, Reverse Pleat curtains are for you. The pleats of these curtains are created at the back of the curtain and that creates a flat look at the front. Yes, these curtains create the opposite effect to the pinch pleat curtains but that only adds to their uniqueness. Along with a more formal design, these curtains work well with both classic and modern interior décor. Use these curtains in your living room, formal dining room and bedroom and give a refreshed and sleek look to your space. Now that you know the variation between the two, you could easily decide what type would work for your space. But, with so many products available in the market, selecting the perfect blinds or curtains can be a little confusing. Try looking for colors and shades that complement your house and see if they serve your purpose as well. Both blinds and curtains have their features and work seamlessly into a room’s décor. In the end, it’s all about the look and feel you want for your home or what you want your windows to look like.